Nivea Men's 5-Piece Gift Set Just $12.50! Down From $25! PLUS FREE Shipping! 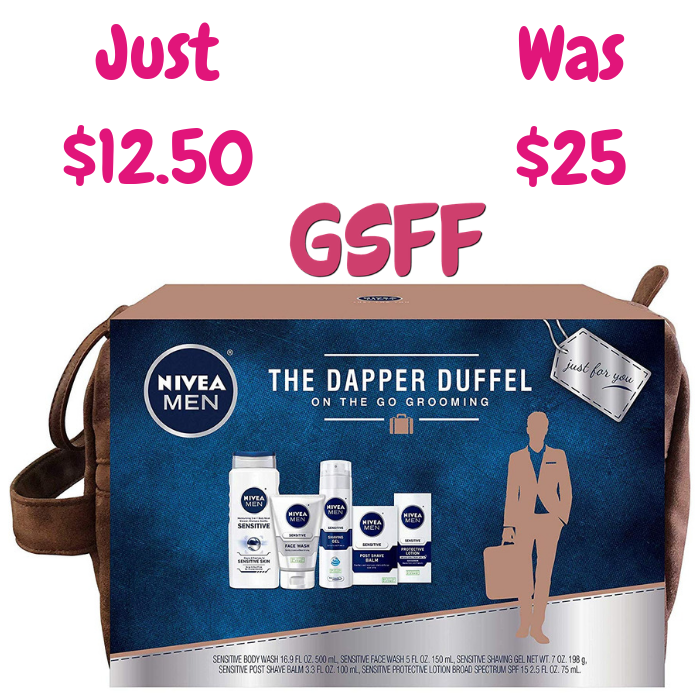 You are here: Home / Great Deals / Amazon Deals / Nivea Men’s 5-Piece Gift Set Just $12.50! Down From $25! PLUS FREE Shipping! Nivea Men’s 5-Piece Gift Set Just $12.50! Down From $25! PLUS FREE Shipping! Head over to Amazon to score this Nivea Men’s 5-Piece Gift Set for just $12.50 down from $25 PLUS FREE shipping! Hurry before it gets out of stock!